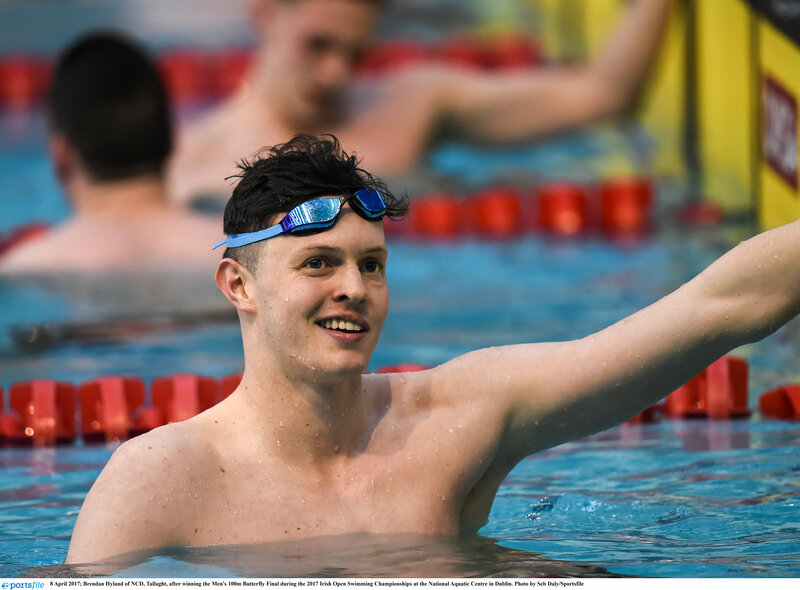 DCU swimmer Brendan Hyland embarked on his first challenge of the New Year in Edinburgh, building upon a hugely impressive and competitive 2017, which included some blistering performances during the World University Games in Taiwan. On the day where a blanket of heavy snow was pulled over Britain and Ireland, swimmers from nations across Europe and the wider world battled the elements as they descended upon Scotland’s chief university town for the Edinburgh International Swim Meet. Representing Ireland, Hyland’s focus was set on the butterfly discipline, where he would perform at both 100-metres and 200-metres. Hyland’s campaign got underway early into the morning as he took to the water in the second heat of the 200m butterfly. Securing a time of 2:03:98, the Tallaght swimmer done enough to secure a place in the B final. With his heat commencing hours before the final competitors in the 200m Butterfly took to the pool, Hyland’s patience was put to the test. As day one drew to its finale, Hyland returned to the Royal Commonwealth pool for the 200m Butterfly B final, the penultimate race of the opening day. After edging toward a slight lead in the first length, Hyland commanded the proceedings for the remainder, leading the pack and securing a gold medal with an impressive time of 1:59:57. Following his victory, Hyland enjoyed a three day rest before returning to the Royal Commonwealth Pool for his 100m Butterfly heat. After a slow start off the blocks, Hyland recovered well on the final length to secure a fourth place finish. Hyland finished behind a familiar foe, Italian prospect Federico Burdisso, the heat winner at just 17 years old had finished last in the 200m Butterfly B Final. In the final session of the weekend, the 200m butterfly reached its conclusion. Hyland finished the first length outside the medal position and behind young prospect Burdisso who held first. However, Hyland put on a brave showing in the closing stretch, breezing past two of his competitors and end the evening with a time of 53.74, and more importantly a silver medal and another podium finish. With his focus set on the Irish swim meet in four weeks time, Hyland has his eyes set on one thing this year.